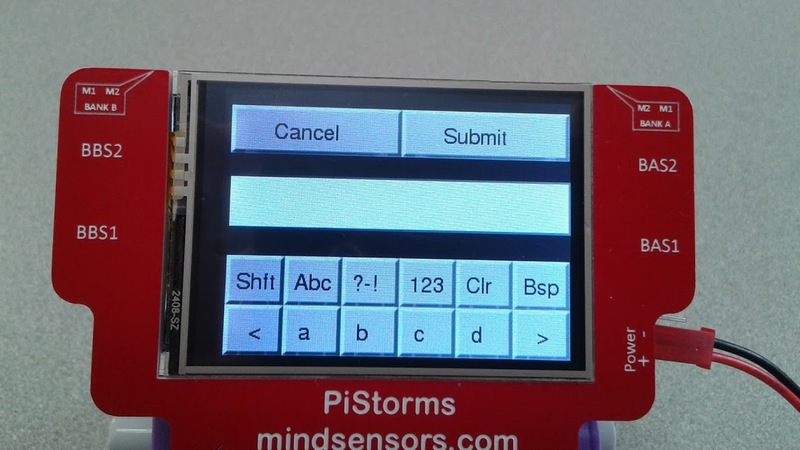 Home > Blog > PiStorms > Take User Input With a Keyboard Widget in PiStorms! 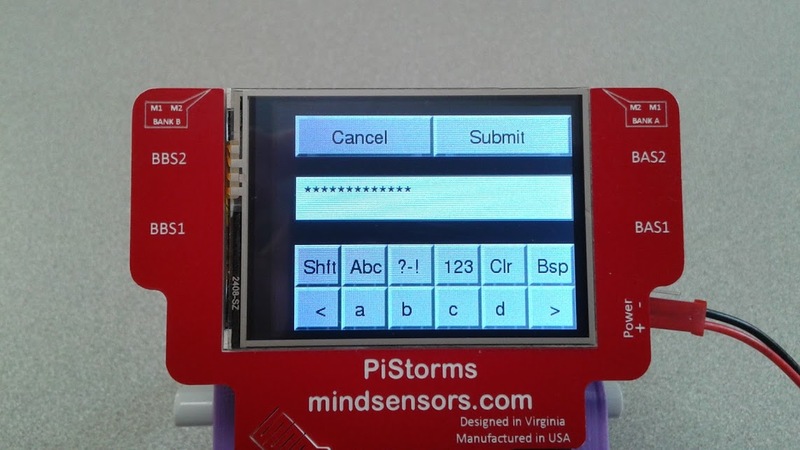 The Input class shows a simple keyboard on the TFT LCD, and allows to take user input using touch screen. 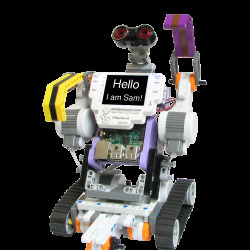 It may be useful when creating interactive applications. The characters can also be replaced with asterisks to input passwords. Start with the import statements. 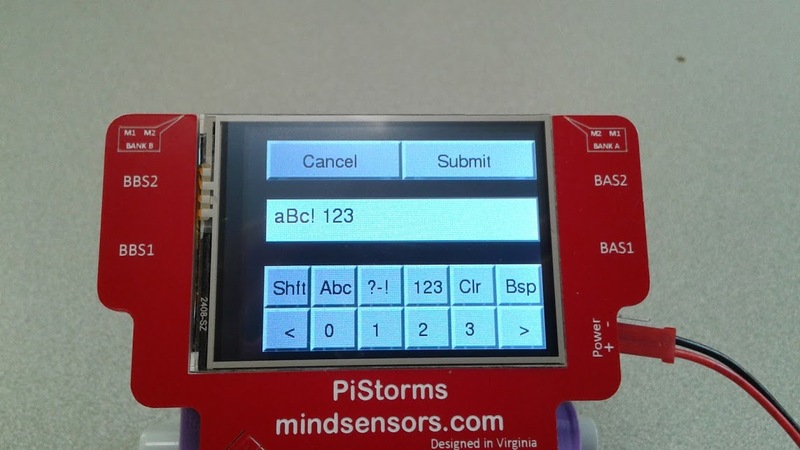 Create an instance of the PiStorms class to interact with the touchscreen as well as an instance of the PiStormsInput class to allow textual input. This will not show the keyboard just yet. Now, you are ready to take user input! Call the getInput() method on the object. Setting the “hide” parameter to True, will hide the input on the screen. The on-screen keyboard shows 4 characters at a time. Use the arrows to navigate through the character set or use the buttons on the top to select the characters. Pressing either “Cancel” or “Submit” will submit the text. “submitted” is a Boolean which identifies whether or not the user submitted (True) or cancelled (False) the operation. “response” returns the user entry at the time the “Cancel” or “Submit” button was clicked. Even if the user clicks “Cancel”, this attribute will still have a value. Next, you can parse the input as applicable in your project. The following code checks whether or not the user cancelled the form, and prints the response. By default, the program adds a 20 pixel margin on the left. You can hide it by setting left_padding to False in the call to the constructor.